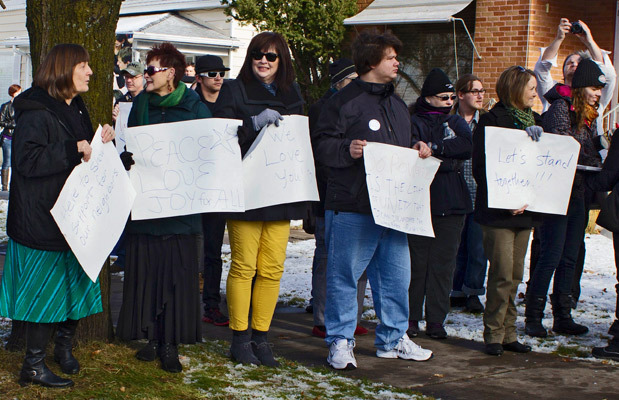 LOGAN — An eclectic blend of about 150 people including Christian priests, Buddhists, Mormons, agnostics, poets, secular humanists, professors, college students and community members gathered at the Logan Islamic Center Saturday for one purpose: To show their compassion and support for the Muslim community. Bonnie Glass-Coffin, the Interfaith Initiative director at Utah State and a professor of anthropology, was one of the organizers of the event. She said the idea was to unite as a community to support a group of people who have been unnecessarily attacked and marginalized by popular culture. “Today was a stand-together vigil on behalf of our brothers and sisters in Logan who have been having to deal with all of the hateful national rhetoric,” she said. Regardless of politically divisive rhetoric about Muslims, Glass-Coffin said the attendees were demonstrating their love for their neighbors and their Muslim friends. They wanted to cut through the negative media about Islam to show the world what they think of Muslims. Curt Yonk is a member of the Interfaith Initiative, and helped organize the event at the Islamic Center, 748 N. 600 East. It was his Facebook post in response to the Paris terrorist attacks last month that inspired the vigil. In his post, Yonk called for mass support for the greater Muslim community across the world. Yonk said he was sick to his stomach to see the backlash from some media outlets that blamed Muslims for the Paris attacks. Sittar Durafshan is a USU engineering graduate student who moved here from Iran three months ago. He was raised Muslim, though he says he no longer is religious nor self-identifies as Muslim. When he said he saw Americans’ reactions to the Paris attacks, he says he wondered why they were so emotionally invested. Durafshan said he blames outdated religious ideologies for the ISIS attacks in France. “I put the blame on the people who are so mindless that think that those rules are applicable to 21st century and they can live by those rules,” he said. 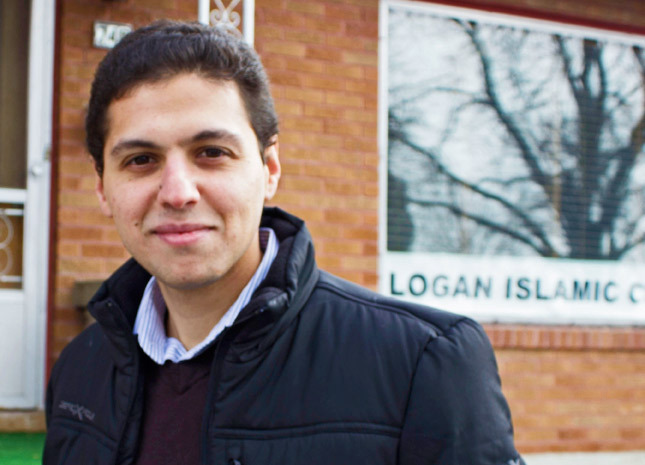 Palestinian Ayman Alafifi is from Gaza Strip, and was director of the Logan Islamic Center for the last two years. He has also been involved in the Interfaith Initiative on campus. Alafifi said he Muslims in general, or the Islamic religion, cannot be blamed for the ISIS attacks, or for any Muslim act of terrorism. He condemns any act of violence, he said, regardless of who committed it. People have motives other than their religion, he said. There is too much stereotyping going on, but no one person or group speaks for Islam, he said. “It happens in every religion and every community and all over the place that we can’t paint people with the same brush,” he said. A 2014 Pew Research Center study found that Americans viewed Muslims more negatively than any other group. This negative outlook of an entire religion has leaked into American behavior. The U.S. Equal Employment Opportunity Commission reports that 20 percent of the discrimination complaints received in 2012 were from Muslims, who make up 2 percent of the total U.S. population. That prejudice has become increasingly worse since the terrorism in Paris on Nov. 13, says the Council on American-Islamic Relations, which reported an increase in the number of anti-Islamic attacks and threats against people and mosques since Nov. 13. Despite the overheated national view of Islamic people, Alafifi said the Cache Valley is one of the best places for a Muslim to live, partially because everyone is so polite. It is also because there are a lot of similarities between Islam and Mormonism, he said. He said most of the people he meets from Logan have not met a Muslim before, so they are usually excited to get to know him because they have a lot of questions they want to ask. 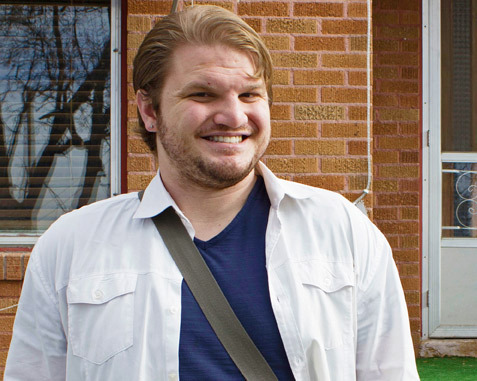 “One of the good things about living here in Logan is that people have open minds and they are willing to talk to you and to learn about your religion and try not to be offensive,” he said. Alafifi said other than the warm sentiments from his neighbors, most of those he encounters don’t always blindly trust the media’s polarized portrayals of Muslims. On the rare occasion when people do ask him offensive questions, Alafifi said his religion has taught him to respond in a kind manner. He tries to help them understand that there is another side to the story and people can get past the stereotypes. “I would love to reemphasize the importance of having the Interfaith work, because I think that is something that we’re still missing here,” he said. He said sometimes when minorities move to Logan they feel like they don’t belong.